Instant Immersion has helped over 6 million people. You’ll have fun, save money and reach your goals faster—guaranteed! Start learning now with over 120 available languages. Instant Immersion’s award-winning software uses proven techniques and methods to help you learn a language as quickly, easily and naturally as possible. You can even learn on the go with our audio lessons! Never worry about language barriers. No matter where you go on your travels, you’ll always be prepared thanks to Instant Immersion! Download the latest version of Instant Immersion immediately or get it delivered to your home. You can choose a language and start learning in a matter of minutes! 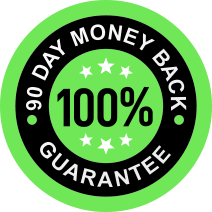 And we proudly back your purchase with our 100% satisfaction money-back guarantee. Don’t put it off any longer. “I am a visual type of person and this way of learning a new language is great for me. 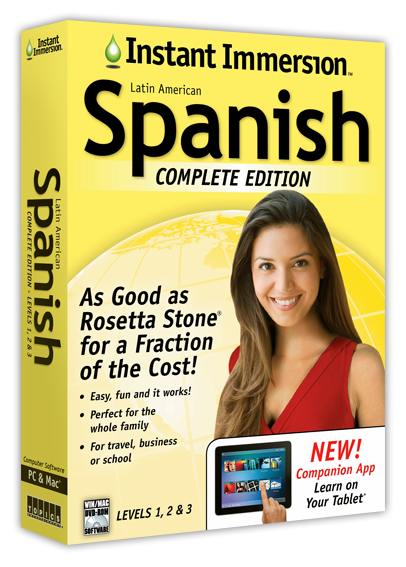 I go on mission trips with my Church and having knowledge of the language helps convey the messages directly without an interpreter to give more of an impact.” -Dennis W.
"I find your product to be high quality, easy to use, and entertaining, and have compared it to my mother's Rosetta Stone. The standards and quality were equal (if anything, I preferred Instant Immersion). Thank you for such an awesome product at such a sane price!" -Catherine K.
"I was really struggling with every facet of acquiring Spanish as a second language up to the point I tried Instant Immersion. Since then it all seems much easier, and instead of surrendering to the difficulty I am now looking forward to attaining my goal. Excellent product!" -Kolby W.
"This program works soooo much better than books and teachers. Being able to see the spelling, an image, and hear in the native tongue the pronunciation is great….Thank you so much for an affordable product that really works." -Meg B. Start your language-learning journey right now!